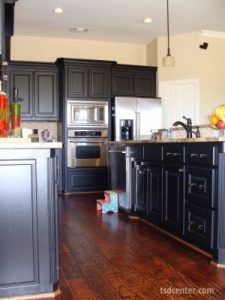 Are You in the Market for Custom Cabinets for Your Home in the Frisco, TX, Area? Adding custom cabinets to your kitchen, bathroom, or other space in your Frisco, Texas, home can refresh the look of the room while offering fantastic storage solutions. For beautiful and built-to-last custom cabinetry, look no further than the experts at Star Home Remodeling. We can design and build the perfect cabinets to complement the look of your home. In fact, we can craft virtually any type of cabinets you’d like, including frameless, transitional, contemporary, traditional, and European style. What’s more, the cabinets we offer come in a wide array of wood species, such as Oak, Maple, Cherry, Rustic Adler, and more. When it comes to the functionality of your new custom cabinets, you’ll also be in control. We can build your new home upgrades with soft-close hinges, pull-out drawers, or any other option you prefer. With all of the fantastic design choices we offer, you are sure to find one you love. While we install your new custom cabinets, we’ll also be delighted to install a wide array of other home upgrades. Our experts are able to complete full-scale kitchen and bathroom remodels as well as install home additions and can custom-curate the perfect products to meet your aesthetic preferences, needs, and budget. We’ll transform your house into the home you’ve always dreamed about. Contact Star Home Remodeling today to learn more about the custom cabinets and additional products we offer to homeowners throughout the Frisco, TX, area. We’ll be delighted to answer any questions you have.